China silk carpets;100% handmade silk carpets;silk material;Persian silk carpets. x 5ft, 4x6, 5x8, 6x9, 8x10, 9x12, 10x14, 12x18. Welcome customers from all over the world visit us and buy from us! 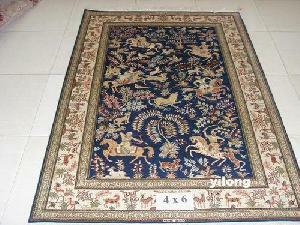 Company Name: Henan Yilong Carpet Company Ltd.